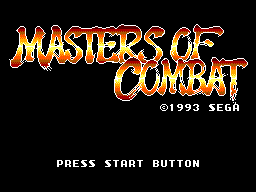 Masters of Combat is a versus fighting game for the Sega Master System, released in 1993. It was later ported to the Sega Game Gear in Japan as Buster Fight (バスターファイト). Main article: Masters of Combat/Magazine articles.